The Rebel Sweetheart. 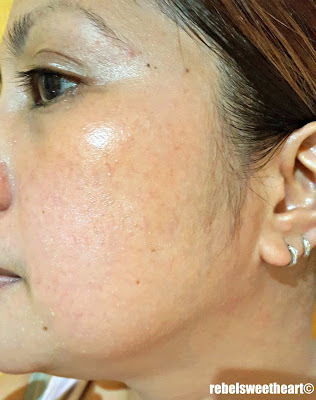 : Spotlight | The Cellin Facial Peeling Essence. For years, I had been a loyal user of Cure Natural Aqua Gel - one of Japan's most popular skincare products. It's a gommage exfoliator made of 90% hydrogen water, and a cult favorite product in Japan. 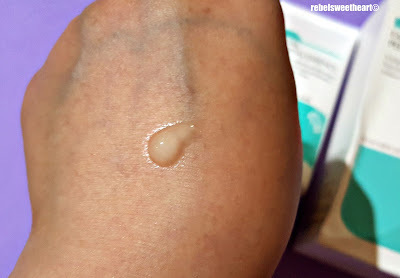 Exfoliating at least once or twice a week has always been a part of my exhaustive skincare routine, and Cure had always been my go-to brand. It wasn't until my most recent trip to South Korea when I discovered a cheaper alternative to the Cure Natural Aqua Gel that's equally, if not more potent. 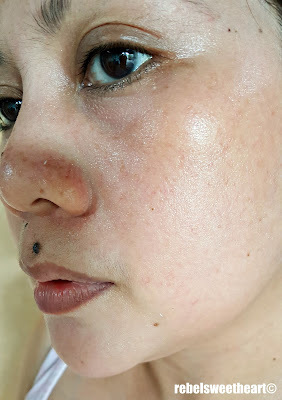 The Cellin Facial Peeling Essence. Enter The Ceelin Facial Peeling Essence, from the same company that manufactures and distributes the Essence Cushion and Honey Soap which I have previously raved about in this blog. It's a cleansing agent that sloughs away dead skin and dislodges sebum from the pores without stripping the skin of its natural moisture. It sloughs away dead skin cells, hence the term 'Peeling'. It's made with fig extract, which is rich in nutrients such as vitamins B and C, phosphorus, and potassium - all essential for boosting and rejuvenating the skin's health. Figs also contain active enzymes which deeply penetrates into the skin to remove layers of dead skin cells and clear sebum-clogged pores. The tube has an English translation of the product information + usage directions. Same goes for the back of the box. 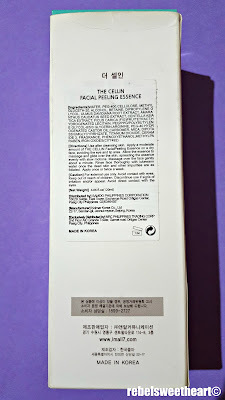 The Cellin Facial Peeling Essence also contains natural plant ingredients such as Ulmus davidiana root extract which has anti-inflammatory and photoprotective properties; Centella asiatica which is rich in amino acids and helps improve skin elasticity; Ulmus rubra (slippery elm) extract which eliminates free radicals from the skin; and Amaranth seed extract, known for its moisturizing and anti-aging properties as it contains the highest concentration of plant-derived squalene. To use this product, you must 1) first remove all the makeup from your face, cleanse as you normally would, and then pat your face dry. 2) Squeeze a nickel-sized amount of the Peeling Essence onto the back of your hand, then dab it on your face using your fingertips. 3) Spread the essence all over your face by massaging it onto your skin using gentle, circular motions. 4) Once the dead skin cells have come off, rinse your face thoroughly with lukewarm water and continue with your regular skincare routine. 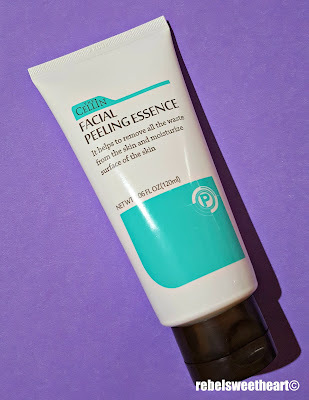 Now here's how the Peeling Essence looks like. It's a clear liquid with gel-like consistency and a mild floral scent. 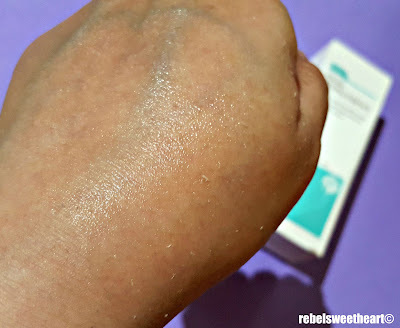 Swatched on the back of my hand. And here comes the dead skin! I love how it effectively removes dead skin cells without leaving your skin dry or turning your skin red and patchy. You don't get that mild tingling as you spread the product all over your face. Instead, you get that creamy, moisturizing feel, as if you're slathering serum on your face. Dead skin cells near my chin area (click to zoom). Dead skin cells on my nose and cheeks (click to zoom). 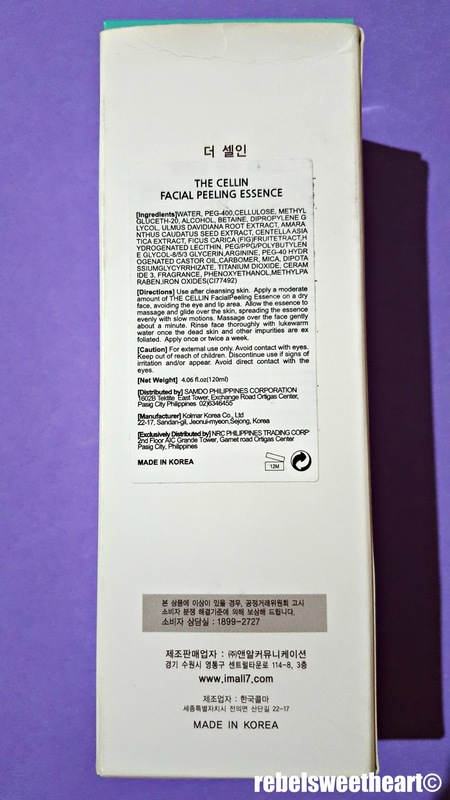 The Cellin Facial Peeling Essence comes in a 120 mL tube and sells for Php 880. You can purchase this online through The Cellin Cosmetics Facebook page or their Instagram profile. I like this product! 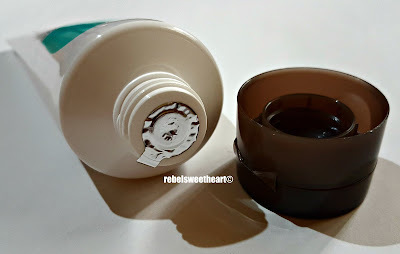 I could really use something to clear up my skin and make it feel soft and refreshed! it's amazing how peeling essence effectively removes dead skin cells! i believe it will leave my skin clear and moisturized. i got to try this product! It looks like it did the job nicely on your skin. Is it safe for super sensitive skin? Ooo, this looks like a good one! 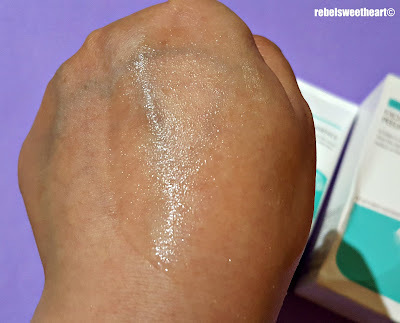 I really am loving all the benefits I see in slippery elm these days, so it's nice to even see some skincare including that item! This is very interesting item, yeah I will check their page for their other products. Do they deliver anywhere in Manila? Ooohhh I badly need this one! Thanks for sharing. 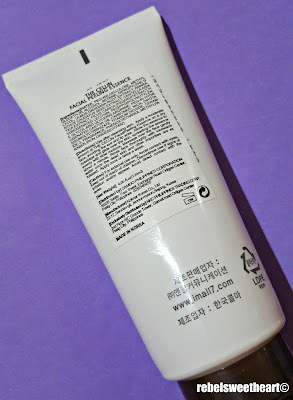 Korean beauty products are so effective and not harsh. I love using them. I am currently using Beuins honey scrub for exfoliation which is from South Korea also. This seems interesting and worth a try. Thanks for the helpful review. I would like to get one! It's the first time I've tried and based on your review, it looks great. 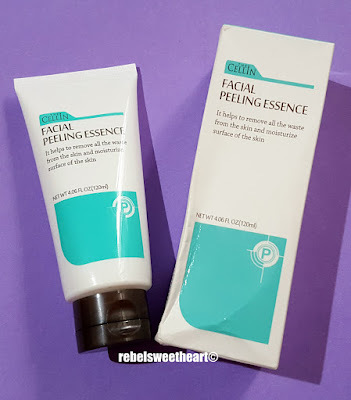 I haven't tried any peeling products yet but reading your reviews, this one looks good. Though I'm not sure if P880 is reasonable price or expensive. I'm actually about to start on a peeling product that I also got from a Korean Product Exhibit. I am hoping that it will work the same way that this product has done for you. I think that at 37 I need to start taking care of my skin. I know I am years too late but like they say, better late than never. Sis, it looked like it is working on your skin perfectly fine. I need those too. Getting old is no fun. Matanggal kaya age spots ko? Super interested. Pero medyo may kamahalan pala sya. I should try this. I love using exfoliating products that doesn't dry out the skin!